Genuine Chevrolet parts and accessories are within local reach at our 56,000 square foot warehouse conveniently located in the Inland Empire. If you need an air filter, a starter or a water pump, expect it to be in stock and ready for you same day. Plus all GM parts and accessories are supported by GM’s 12 month warranty for manufacturer’s defect. Parts and accessories are available for all late model vehicles including the Camaro, Colorado, Cruze, Malibu, Impala, Equinox, Traverse, Tahoe, and Silverado trucks as well as for previous models like the Spin, Cobalt, and Aveo. 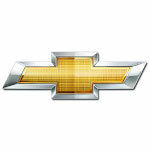 Chevrolet represents more than a century of ingenuity and value in its esteemed automotive history. What began in Detroit in November of 1911 by road racer Louis Chevrolet and General Motors founder Billy Durant, birthed 100 years of icons in the automotive industry and is sure to bring 100 years more.